A few weekends ago we visited Bend, OR for the weekend. 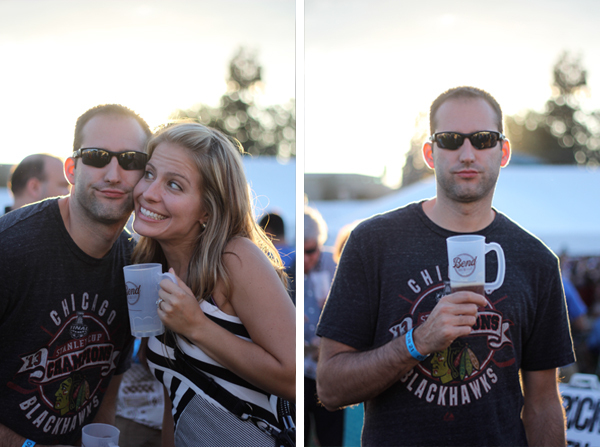 It's a new tradition for Luke & I to go for the Bend Brewfest (this was our second time, see, new tradition!) And, these weekends are really proving to be full of beer & good food (as every weekend should be, in my book...). We were lucky enough to stay with my (our) good friend Gina. So, not only was our weekend filled with beer & food, but also a good friend. That really makes for the perfect weekend. And traveling back home just that much harder. i love brewfests! luckily they have so many around the northern virginia/DC area. there is actually one happening in our neighborhood in 2.5 weeks but i'll be in NJ at my bridal shower!